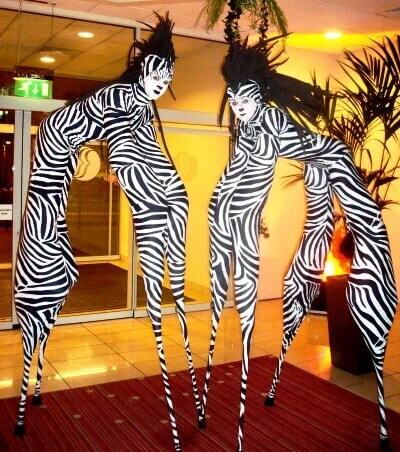 Stilt Walkers are truly great for any event as they stand tall and can be easily seen wherever they go, even in the midst of a busy event. Stilt Walkers look spectacular as they stride above everybody else, interacting with the guests in many fun and memorable ways. 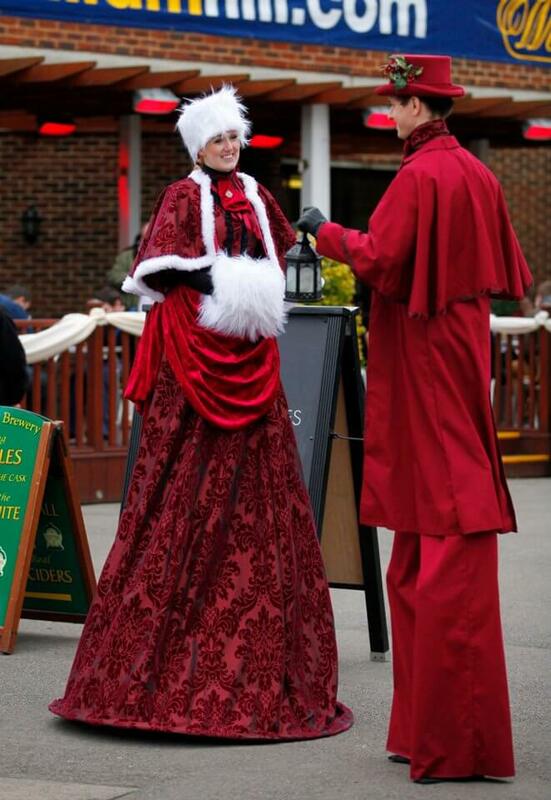 We have an extensive range of stilt walking characters and if we don't have what you're looking for then we are more than happy to build one for you. 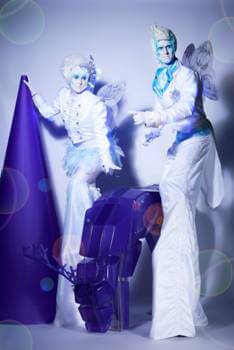 The Ice Elves are also fabulous Stilt Walkers and roller/ice skaters which can all be utilised at your event. These Elegant, classy and timeless characters suit any corporate or private event. Frequently used at black tie events and more recently weddings as meet and greet hosts or utilised to serve welcome drinks or canapés. Available as 2 boys and 2 girls, or any combination thereof. 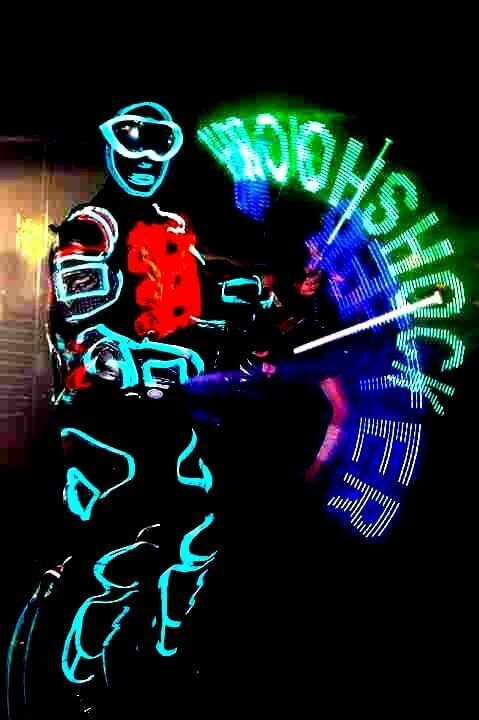 If you want a special entertainment to spark up your event, Chosen Events has the ideal solution – our LED Glow Stilt Walkers. 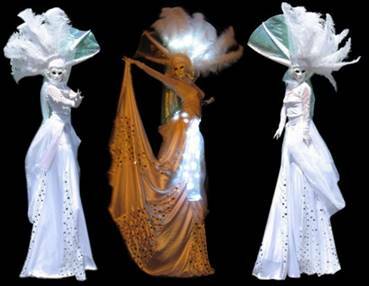 This fantastic spectacle involves stilt walkers who are covered in LEDs from head to toe. They have LED ‘legs’, laser gloves and LED tops, and they can appear in variable colours and reach up to 10 feet tall. These characters take inspiration from Tim Burton’s classic “Nightmare Before Christmas”. Our Jack Skellington and Sally Finklestein Stilt Walkers are a firm favourite if you require a Halloween stilt walker at your event. Or if you would like something different for your Christmas event. 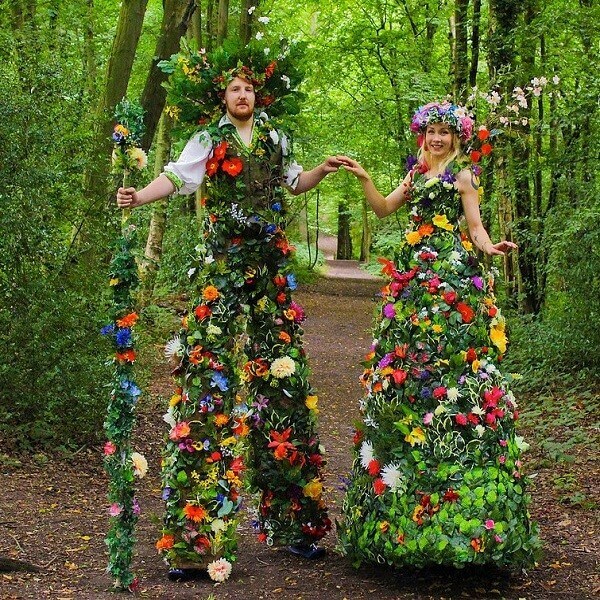 Entirely costumed in scented silk flowers so realistic that people ask if they've been freshly picked, these breathtakingly beautiful Flower Stilt-Walkers will leave your guests spellbound. Perfect for Spring and Summer events, Flower Shows and Garden Parties. Who’s been at the miracle grow then? These big, beautiful blooms show off their most vibrant colours and friendly smiles to attract the audience like bees. UV glow reactive petals and leaves enable these glorious blossoms to colour pop in daylight or evening. One flower on its own gives a big visual impact, but why not pick the whole magical bouquet? 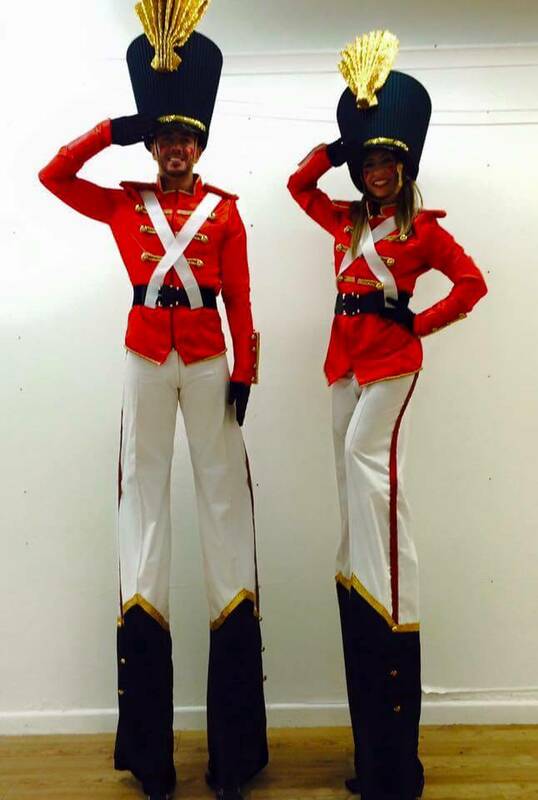 Our patriotic red white and blue stilt walkers can bring the spirit of John Bull to your event. Literally standing out from the crowd, these highly skilled performers can pose for photos with guests, giving them an amusing keepsake of the occasion to make it truly memorable. Our Stilt Walkers can also be combined with other patriotic themed acts such as Human Living Tables and showgirls, all with the same red white and blue theme. These comedy policemen add bouts of hilarity to any event. 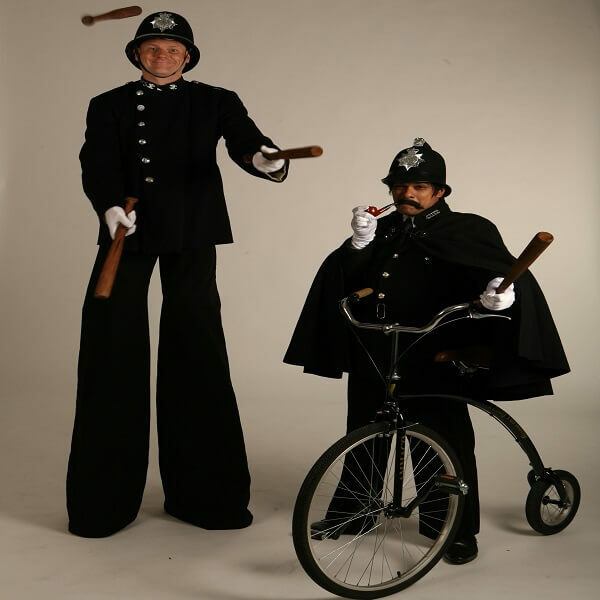 With props such as a real Penny Farthing and juggling truncheons, these characters are bound to cause both chaos and merriment in equal measure! Far from keeping law and order, these two invite mayhem and madness! This act has elegant oriental geishas, complete with kimonos and parasols, all hand-made and fitted with lights, and who can stilt walk and mingle with your guests. 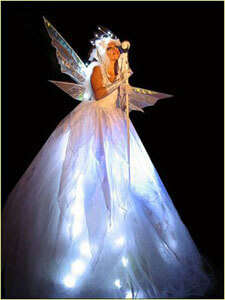 Their graceful movements combined with the lighting effects make a spectacle that will amaze and enthral your guests. We can also provide a matching geisha themed Human Living Table, which makes this combination ideal for a meet and greet at a champagne reception. 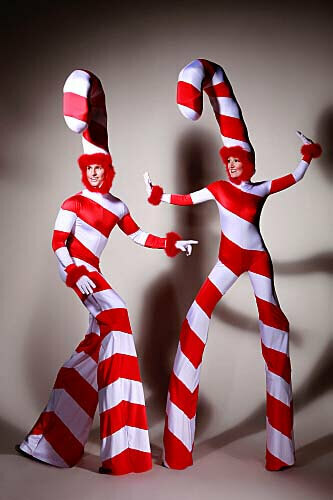 Our Giant Olympic Warm up stilt walkers have been training hard and its now their time to shine! But don’t worry if you don’t feel like you’ve done enough, they will help you shine too! Their first order of the day is to get you stretching and make sure you are looking fit, nimble and ready to be at your best! These Energetic walkabout and meet and greet characters are full of fun but not only that, they will also entertain with balloon modelling and giant bubbles galore, combining an extreme bubble machine and giant bubble wands drawing crowds of kids and adults, they will fill the air with beautiful colourful bubbles all ready and waiting to be adored and popped, after all, everybody loves bubbles! The Glowbot is an amazing hi tech tron style bouncy stilt walker character, with over 35 metres of light up flashing wire, 2 scrolling led screens that can be programmed to say whatever you would like, 2 sound activated lights, and 2 powerful beams to light the way. All of this on bouncing stilts! This character can bounce, dance and comes equipped with super bright light poi. These can be programmed with your brand or message especially for your event. Perfect for corporate events, future, cyber and nightclub events. 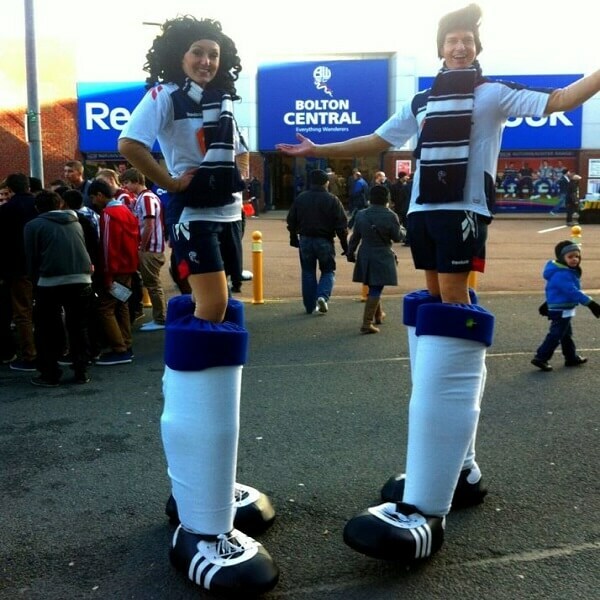 Larger than life these stilt walkers are literally the biggest football fans around! 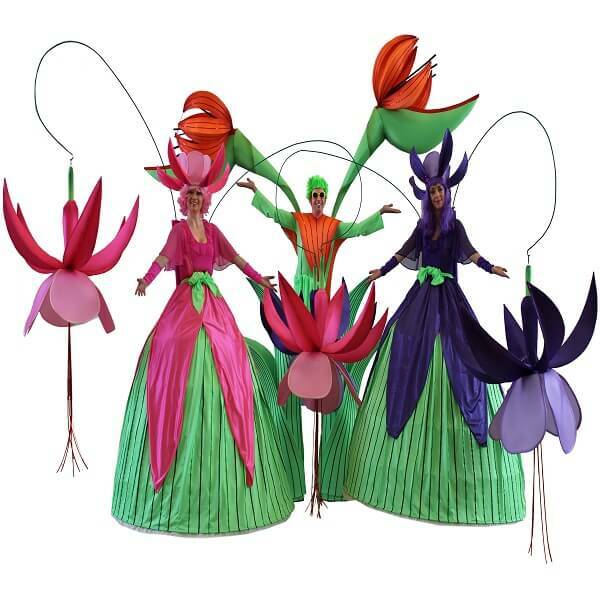 Great for fun days, football or sporting themed events these fun stilt walkers are the perfect addition. These stunning creatures have four incredibly long legs, and we promise they won’t bite. You can hire a stilt-walking lion, tiger, zebra, giraffe, leopard or maybe a giant spider that even an arachnophobe can enjoy looking at. Imagine your guest’s reactions as they are greeted by one or more of these lovelies; they will get your party started and make sure your event goes with a swing. Whatever flavour of darkness you want for your event! Whether you want terrifying or family friendly, our experienced entertainers will adapt levels of darkness and scariness to evoke the perfect atmosphere. Interactive Nightmares in beautiful, intricate costumes to give the dark edge you're looking for while still maintaining high levels of elegance and sophistication. These are experienced professional performers, multi-skilled and able to continuously adapt the act based on guest’s reactions to create the mood that you want at your Event. They can work alone, as a pair. Here are our Beautiful Bouncing Rabbits. What you can't see is that these characters are on bouncy stilts. 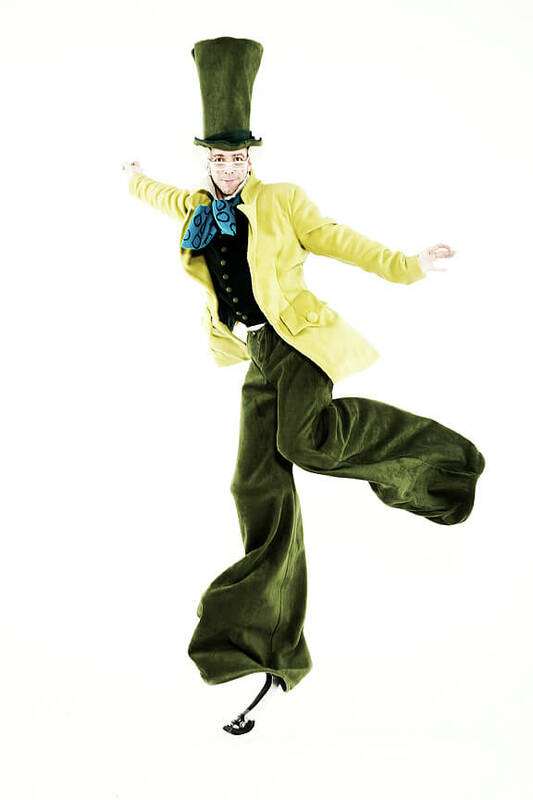 They can hop around your event and are able to bounce six foot in the air to amaze and amuse your guests. A must for any Alice in Wonderland event or White party and especially for Easter they appear with baskets filled with goodies of your choice! 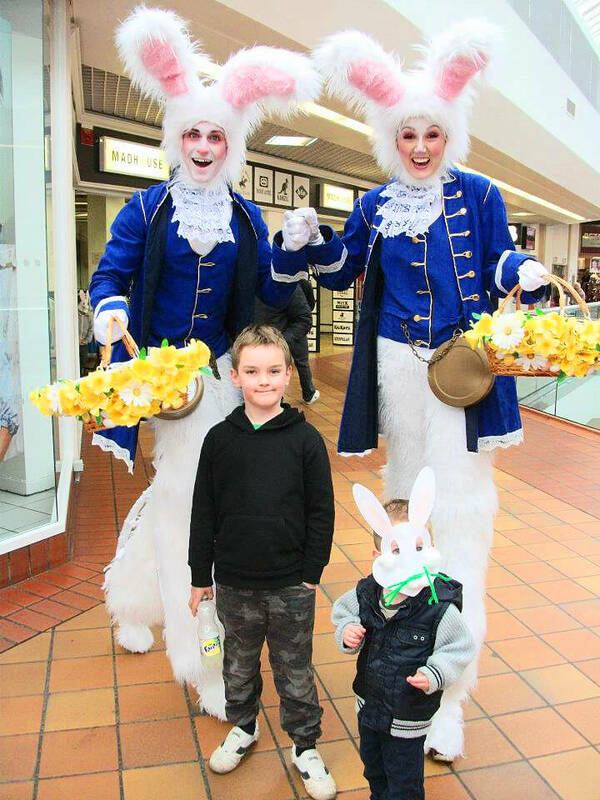 Chosen Events hand-made Alice in Wonderland costumes cover a wide variety of characters and are perfect for themed events and parties. We can provide Alice, Mad Hatter, Queen of Hearts, Royal Foot Soldiers and many others, and all characters are available on foot or on stilts.